In the Cook Islands the variety of sports on offer to young athletes is wide-ranging. Netball, rugby league, cricket, touch rugby – the options are endless which makes pinning players down to just one can be tough. So what makes a player pick football over the rest? 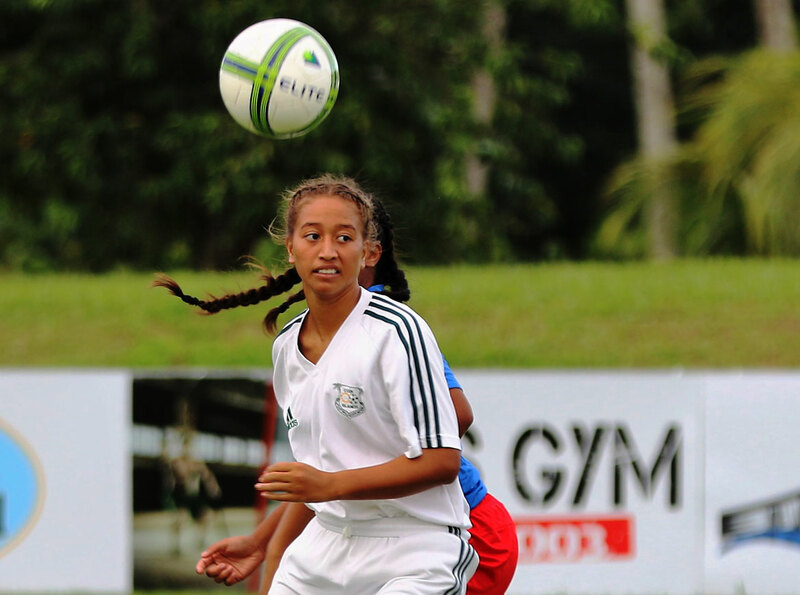 Cook Islands U-16 midfielder Tehinnah Tatuava said it actually wasn’t her choice. “For me, I chose netball first,” she explained. “But I thought it maybe wasn’t quite my sport and even my coach told me straight-up – netball wasn’t quite me. Tatuava joined Titikaveka, where CIFA executive member and women’s football advocate Moeroa Tamangaro is president, and thought it would be another trial and error experience for her. “I thought I was terrible at first,” she laughed. The 15-year-old said she made the initial U-16 squad but never dreamed she would find herself representing the Cook Islands so soon. “It was pretty tough making the cut because we had players from the outer islands and from New Zealand so it was really hard, and our coach really pushed us to the limit. Coming from a small community, Tatuava said the national team players are spread across rival clubs which can make it tough coming into the team environment. “It was pretty hard at first, to come together as a team since we play each other at home in the league. That pride extends to the performances the squad has pulled off since kicking off the OFC U-16 Women’s Championship in Samoa. “It’s a good feeling to be winning. We trained really hard for a year and Tahiti came down to play us in a couple of friendlies and we think it’s been a pretty tough challenge since we got here,” she said. “We’re really proud of the results of the past two games. Some people doubted us, but I’m pretty sure since we’ve been doing well people have really been talking about us, helping us and supporting us big time.